In this article, I’m going to take you through my Garden on a Roll Review. Last year I re-turfed my friend’s lawn and this gave me a chance to review Rolawn, the turf supplier. Well, over the winter he decided he wanted to add a planted border to his garden. However, he’s not even a little bit green-fingered and wanted a ‘ready-made’ border to be designed and planted. Enter Garden on a Roll. Who is Garden On a Roll? 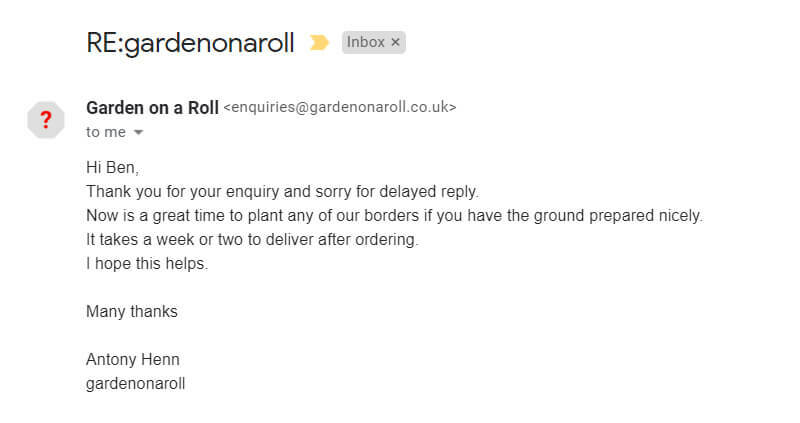 Garden on a Roll is designed for garden owners who have no idea of how to plant borders. Choosing what to plant where and with which other plants can be utterly confusing. 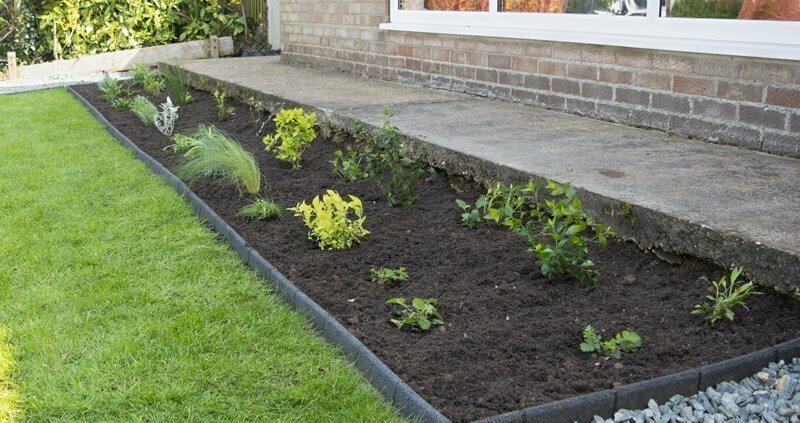 This is why millions of gardens all over the country have bare patches of soil where there should be plants that add colour and attract wildlife. That said, plants don’t come cheap so if you get it wrong you’ll waste money, potentially a lot of it. Well, hiring a garden designer or plant expert will set you back at least several hundred pounds. And that’s before you’ve bought a single plant. Garden on a Roll bridges that gap. It’s owned and run by Antony Henn, a garden designer who has been designing gardens since 1992. His clients include Sir Paul McCartney and he’s worked on TV shows including the BBC’s Gardeners World and ITV’s Roots and Shoots. 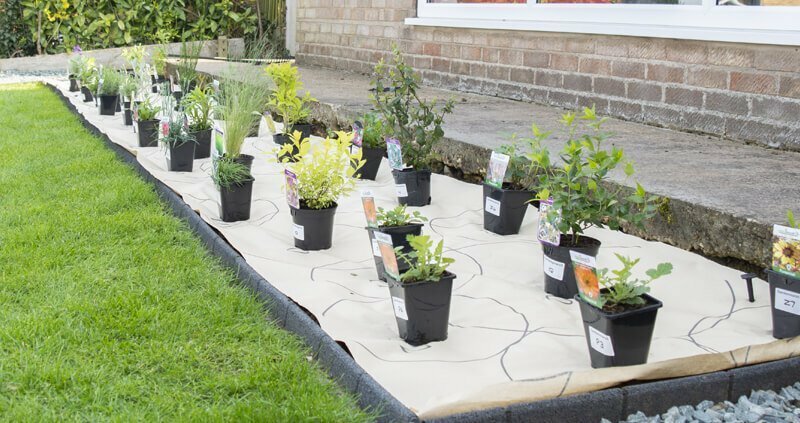 The concept for Garden on a Roll came to Antony in 2009 when he was helping to plant a school garden. He drew circles and letters and numbers on the back of wallpaper to show the kids what to plant where. A real ‘planting by numbers’ approach. 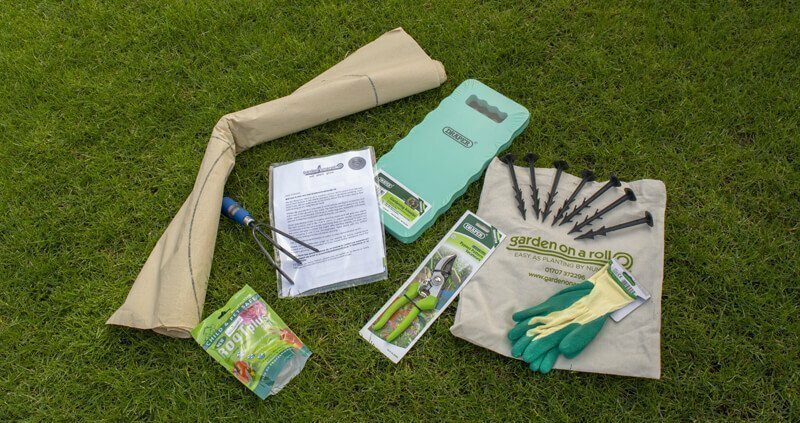 After a couple of years of product development and testing, Garden on a Roll was launched on QVC in 2011. Since then they have been featured in a whole load of publications and even on Alan Titchmarsh’s TV show. They have also won many innovation awards since launching and supply Homebase with their border kits. 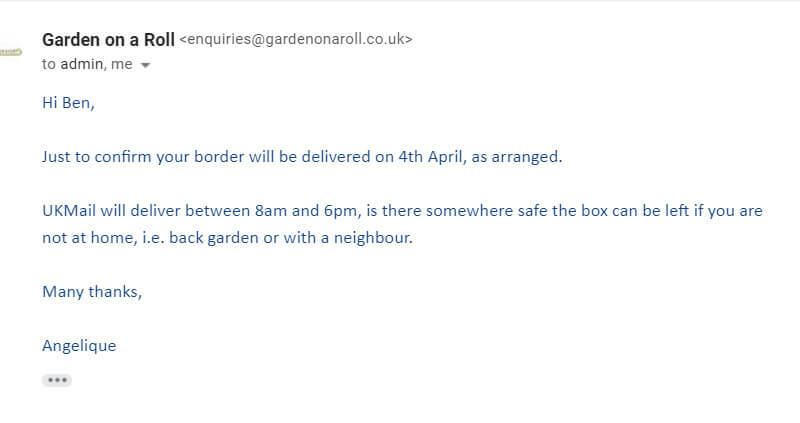 When my friend, Ben, asked me to help him plant his new border, I asked him to email Garden on a Roll and ask some basic questions. The reason we did this is that you’d be surprised at how many companies don’t respond to basic questions. Despite that person having money to spend. I didn’t think was a late response at all considering how busy this type of company gets in the run-up to Spring. We placed an order on the 25th March and the ordering process was very easy. We chose the ‘English Cottage Border’. 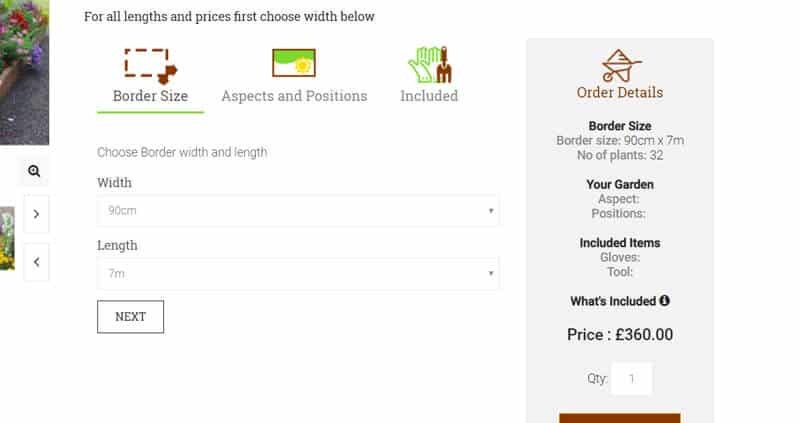 As you can see, our border was 7 meters by 90cm and the cost came to £360. The whole order process was very straight forward, we couldn’t really fault it. I have to admit, unpacking the boxes was pretty exciting! We also received a kneeling pad and a pair of secateurs. We weren’t expecting these to come so that was a nice surprise! The tools weren’t crappy cheap ones either, which would be easy to supply considering they’re ‘freebies’. They were all made by Draper which makes decent stuff. As luck would have it, the temperature dropped the day after delivery of the plants. We were concerned that some of the plants would die if we planted them now. 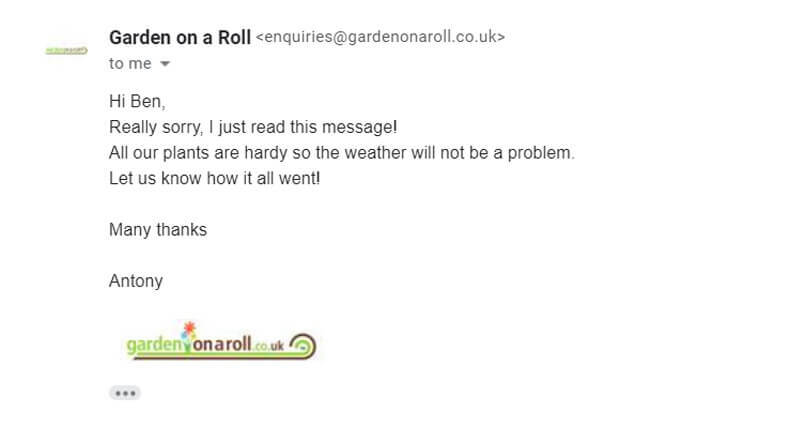 So Ben emailed Garden on a Roll to see whether we should acclimatise the plants to the weather. With that being said, we went ahead and planted the border. Planting a Garden on a Roll Border is a really fun process! 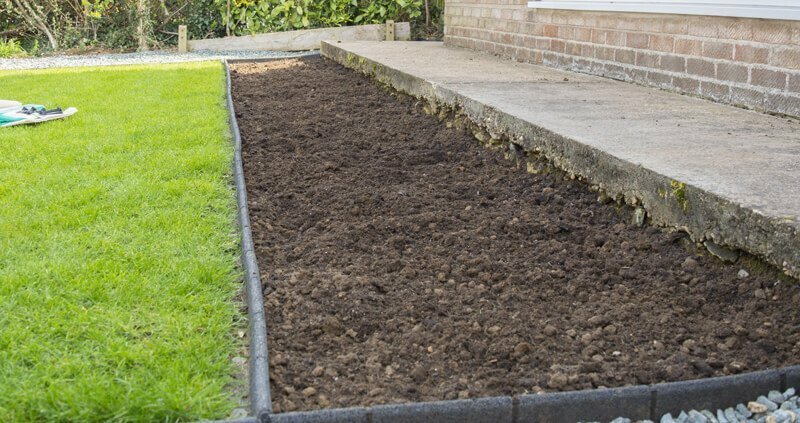 To start with, I prepared the soil which was fairly lacking in nutrients and quite hard. It had been under a weed suppressing membrane and half a ton of stone chippings for over a year so it needed some work. I dug it over and added 6 x 60-litre bags of Westland Multi-Purpose Compost with added John Innes. We probably didn’t need this much but it was there, so we used it. With the soil prepared, we laid out the planting the scheme that Antony had designed and pegged it to the ground. Then we positioned the plants. Each plant has a letter or number stuck to the pot. All you have to do is find that letter or number on the plan and match them together. Once we knew where all the plants were to be planted, we cut holes in the bio-degradable paper, dug a hole in the soil and planted the plants. From preparing the soil to having a completed border took around two and a half hours. A good hour of that was preparing the soil. Granted, it doesn’t look that impressive now but give it a few months to a year and the plants will, grow, mature and explode with colour. 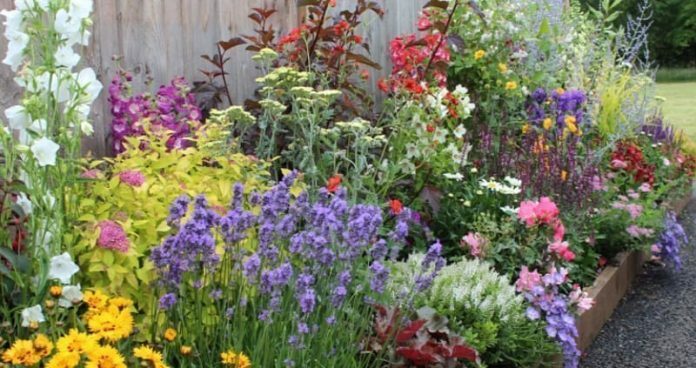 If you want beautiful garden borders but don’t have the foggiest idea about what to plant where and with what other plants, Garden on a Roll gets my highest recommendation. 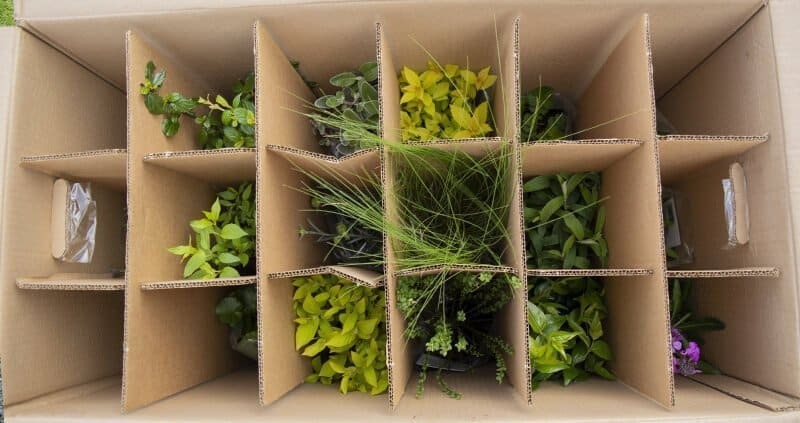 From our initial contact, to ordering, to delivery and planting, things couldn’t have gone more smoothly. Only time will tell how the plants perform and I’ll keep this review updated and show you how things develop over the coming months. 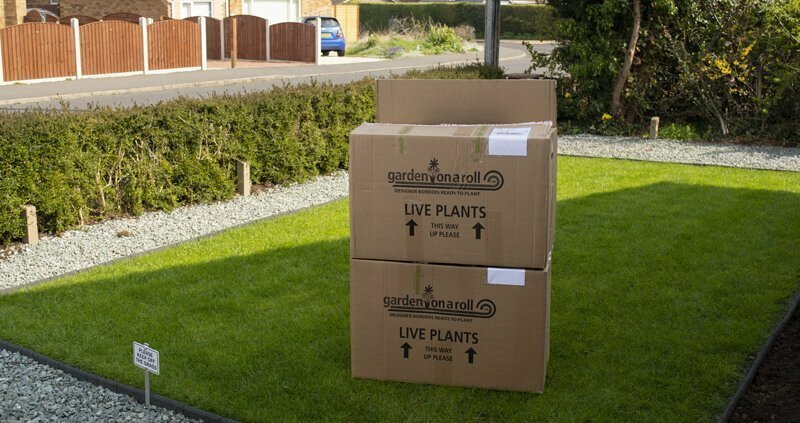 Have you used Garden on a Roll or a similar service? Are you thinking of making a purchase? If you have any questions or have something to say, leave a message below and I’ll just in and join the discussion.